…if you get the title, then we can all be best friends with Tay-Tay. 1. Happy birthday to my amazing dad! I love you MUCHO and can’t wait to see you soon. 2. My friend, Alexis, told me about a May challenge in which you commit to running 1 mile everyday. I was really tempted, but knowing that I have a problem with challenges, I couldn’t. But I decided I could run 1 mile for every day in May. So by the end of the month, I’ll have run 31 miles. So far, I’m 3.05 miles in; right on track! 3. StitchFix. I received my second delivery yesterday and loved it. Seriously, I bought every single item! By the way, if you buy all 5, they give 25% off your order. THANK YOU to those who tried it out and used my link (this one). I received some referral credits and I owe these new clothes to YOU. And please let me know how you like it. I was so excited to hear that Kim loved her fix! 4. 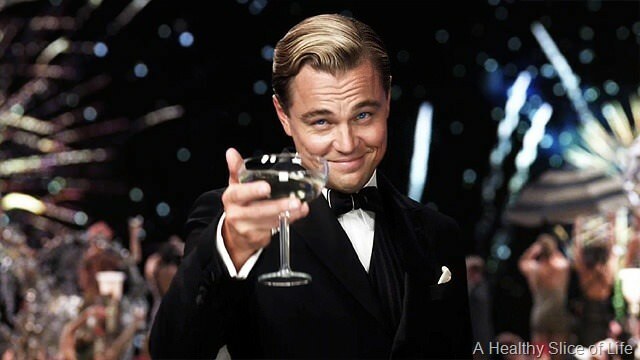 I’m ridiculously excited to see the new Great Gatsby movie. I love going to the theater, but David doesn’t, so we rarely go. I’m crossing my fingers I can talk him into this one. Is it possible to ever get tired of Leo? …the answer is no. No, it isn’t possible. 5. I hung out with the FOX News Rising crew again yesterday. They’re truly cool people- so nice! We made kid-friendly potato chips IN THE MICROWAVE and a lemon herb dip using a secret ingredient. 6. Yesterday was David and my’s (is that grammatically correct?!) 4 year anniversary. We celebrated by bumming on the couch and resting up for our Cinco de Derby party weekend. I’m hoping to do something bigger to celebrate our milestone anniversary next year. 5 years is a milestone, right? 7. 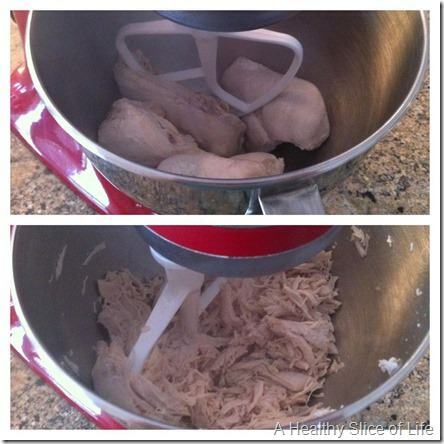 On facebook the other day I shared my favorite chicken shredding time saver. The mixer! 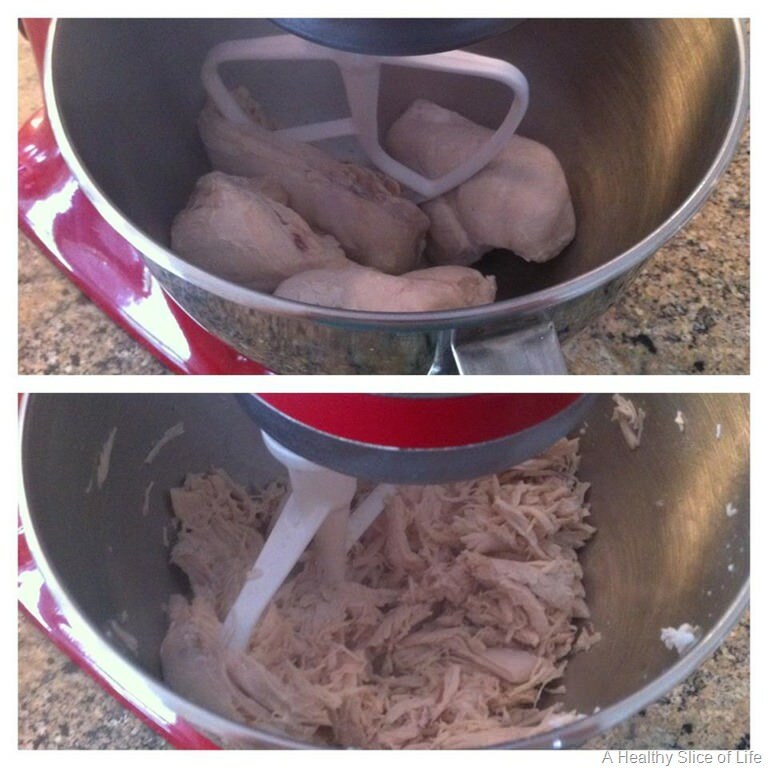 Boil chicken until cooked through (about 10 minutes), then use the paddle to shred in under 60 seconds! What is your favorite time saving tip in the kitchen? I’ve been thinking a lot about joining Stitchfix. Love everything I know about the company. Just need to figure out if I’d rather go shopping on my own or have my clothes delivered to me! Also, happy birthday to you dad! 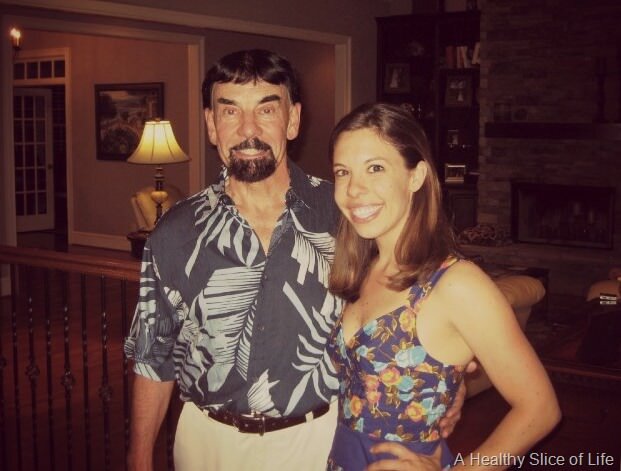 Brittany, my “amazing” daughter, thanks for the birthday wishes and your consistent love. Nice picture of us. And your pictures with your new clothes are great. Good choices, look super on you! Haha, YES, random stuff in a crockpot counts. 2. You brought up Miss Frizzle and that’s amazing! Nice picture of you and your dad! And love the clothes!! I have been thinking about stitchfix as well but haven’t jumped on yet. I am also considering the challenge as I love me a challenge. Enjoy your weekend. I have never thought to shred the chicken like that!! And no it is not possible to ever be sick of Leo..ever. I love you. For that shredded chicken tip alone. I absolutely hate shredding chicken even though its my favorite way to eat it. Yay! Loved your seven things! (and that you listen to wake up!) I’m also very excited for the Great Gatsby, and I tried to do a mile a day last year, and it just didn’t happen, but 31 miles in the month, is totally do-able! Love that dress! And I see one of your new items was what you wore on TV on fox!! Happy anniversary – may 2 is my sister-in-law’s bday! And yes, 5 years is a milestone!! We are 10 next year!!! Trip planning time!!! You are correct, you could never get tired of Leo! Plus, doesn’t it look like he hasn’t aged in that picture?! Holy! He looks beautiful! Saying “While you’re up…” and shaking an empty bottle when Joanna heads towards the kitchen? 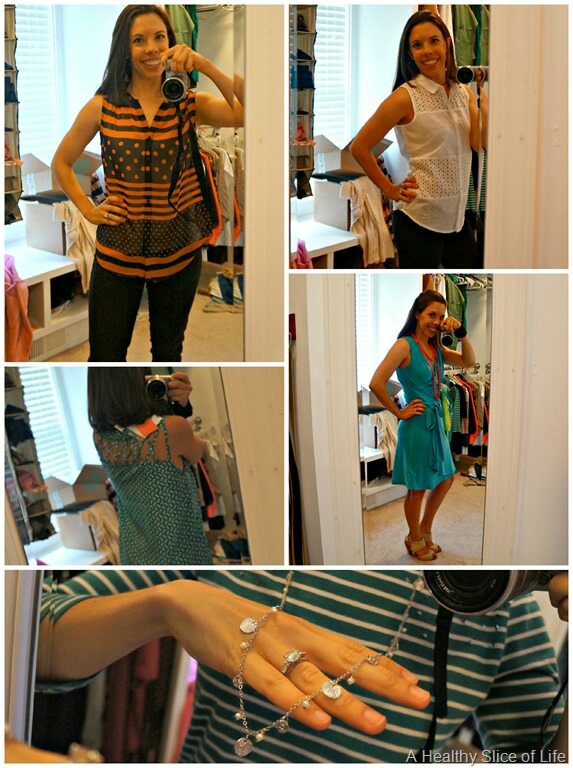 Love your new Stitch Fix duds! I am going to treat myself to a Fix after the baby comes and my body is halfway normal-shaped again. Also, I am sooo excited about the Gatsby movie! I love all the weirdness of Baz Luhrman, and combining that with Leo? Amazing. Can’t wait. I haven’t tried it with a hand mixer, but if you try it, let me know how it goes! I wish I could see more detailed pics of your Stitchfix — I just got notified that I came off the waiting list, so I need to finish my profile and pick a date. My fav quick kitchen tip is to mash hard-boiled eggs w/ a potato masher for egg salad. Quickest way ever. And I love the masher tip- I’m using it next time! Cute Stitch Fix – I especially love the dress and it fits you perfectly! Looks like they are getting you ready for summer 🙂 This service totally got me addicted to online shopping. I never want to go in a store to try things on now – the luxury of doing it at home is much better. Danica @ It’s Progression recently posted..friday! How did I never know about that trick to shred chicken?! So easy!! Can’t wait to try it out! LOVE that tip! Wow, I need to try that one. For me when I need shredded chicken, I usually throw the raw chicken + some water in the slow cooker and let it go all day. For whatever reason, that seems easier to me than boiling it! Kristen @ notsodomesticated recently posted..Addison: 2 Weeks Old! I don’t know if it saves time, but I just learned a new tip about using a muffin pan for taco night (just in time for Cinco de Mayo!). Put the meat in 4 tins, the guac and salsa in a couple tins, the cheese, etc. Seems like a great idea! HEY hot mama! You look amazing in that teal dress! Ow, ow! THANK YOU! But now I have gotten two different opinions of how to say it correctly, so I’m still a little lost… haha! Grammatically speaking, it would be “mine and David’s” anniversary. I’m a nerd and proud of it! Happy anniversary! What does the title refer to? I guess I can’t be best friends with Tay-Tay, because I have no idea! 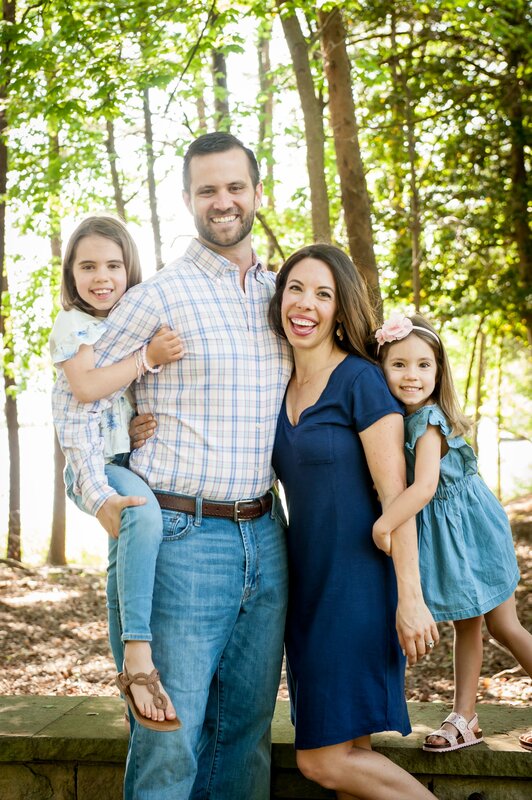 Laura @ Mommy Run Fast recently posted..Moms: How do you do it all? Very sad that I had never heard of StitchFix until you posted that..Definitely will be looking into that!!! Your new clothes look so cute! I really want to start some subscriptions for those clothing boxes! I’ve already tried Ellie and loved it :).